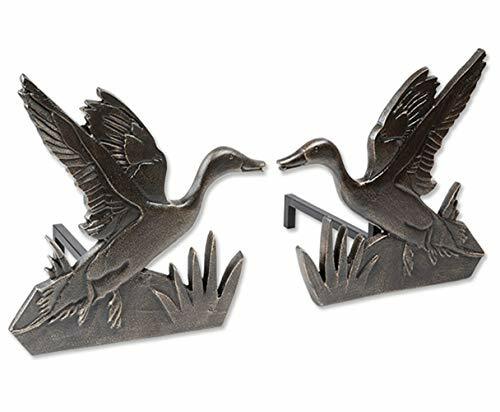 These Duck Fireplace Andirons are Orvis exclusives. This cast-iron fireplace set invites you to celebrate your favorite pastime every day with subtle home accents that are as functional as they are decorative. The andirons depict ducks taking flight. The perfect way to display your love for the outdoors in your living room. In antiqued bronze. Imported. 17"H x 16"W x 17 1/2 "D, 14 lbs. each.